Kirkenes is a town in the Finnmark region of Norway, far east near the Russian border, more or less in the end of mainland Norway. This is the last port for Hurtigruten and the end of Norway's main road E6. A number of offers, the most desired being a King Crab Safari, catch guaranteed! Open from December to early April. The region was Germany's staging ground for its northern front against the Soviet Union during World War II, and this has left marks in the area. The town of Kirkenes was totally destroyed by almost 350 Soviet air raids, and holds the record as the most bombed-out town in Europe during the war. Upon an imminent Soviet advance the population was forced by the Germans to relocate to Tromsø and further south. However, more than 3,000 residents and their livestock hid for around ten days in the mines and appeared when the town was liberated by the Red Army in October 1944, more than six months ahead of Norway as a whole. Norway's flag was raised on liberated territory for the first time at the Kirkenes mines. The buildings at the mines were the only ones remaining, and the first administration in free Norway was set up there. 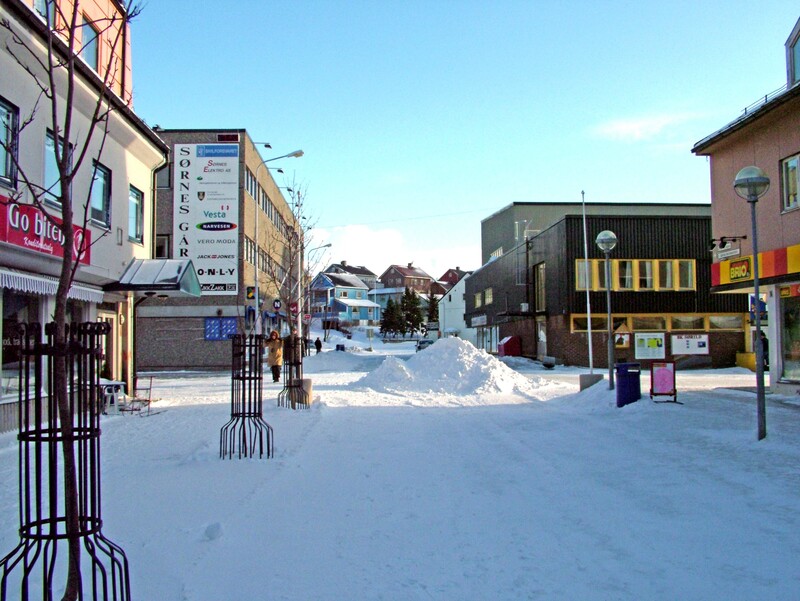 Kirkenes is also known as a mining town, and mining for iron ore has been taken up again after a hiatus. Kirkenes has some 3,500 inhabitants.